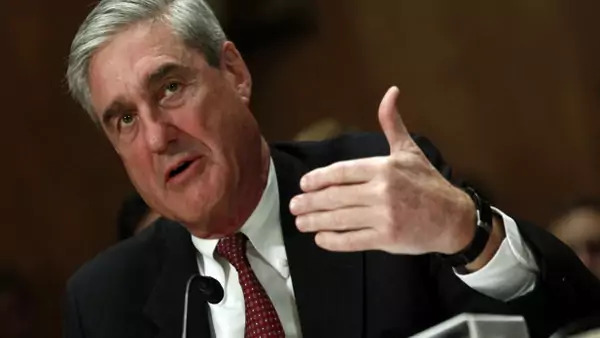 FBI Director Robert Mueller testifies on Capitol Hill in Washington, DC (Courtesy Reuters/Kevin Lamarque). Last Monday, Attorney General Eric Holder gave a policy speech at Northwestern University Law School, reportedly intended to “reveal publicly the legal reasoning behind [the Obama administration’s] decision to kill the American-born leader of al-Qaeda in the Arabian Peninsula, Anwar al-Awlaki.” Holder’s speech was the latest in a series of attempts to defend and justify the government’s targeted killing policies, following similar efforts by senior State Department, White House, and Pentagon officials. The speeches all reflected the same core argument: the Obama administration has the executive authority to maintain a secret process to secretly place suspected terrorists (including U.S. citizens) on kill-capture lists, with no judicial oversight. One positive outcome of Holder’s speech is that the subsequent media coverage included a number of revealing comments on targeted killing policies from government officials. Unfortunately, the biggest takeaway from these off-the-record statements is that the majority of U.S. officials remain as in the dark as everyone else. ATTORNEY GENERAL ERIC HOLDER: That would be true. According to Washington Post reporter Dana Priest, al-Awlaki was placed on both the CIA and Joint Special Operations Command (JSOC) kill-capture lists at some point in late 2009; New York Times reporter Scott Shane argued that it happened in early 2010. Either way, the OLC memo referenced by Leahy was completed by June 2010, which means that President Obama authorized the targeted killing of a U.S. citizen several months before its legal justification existed. The New York Times reported that Holder was “nodding and chuckling” as he responded to Leahy, implying that there is debate within the Obama administration on whether to declassify the OLC memo. A Justice Department spokesperson skirted the issue: “We do not confirm or deny that such a memorandum exists.” In summary, although we know the memo exists, roughly what it contains, and that senior lawyers across government agencies unanimously endorsed its findings, the Obama administration still cannot acknowledge the legal underpinnings for its policy of targeted killings of U.S. citizens. CROWLEY: [The attorney general] said, you know, people are arguing that for some reason the president needs to get permission from a federal court before taking action against a U.S. citizen overseas who’s an operational leader in al Qaeda. He says that’s just not accurate. That due process and judicial process are not one and the same. Do you have -- and this is creating quite a stir. Do you have any problem with that? Do you understand what that means exactly? SENATOR HARRY REID: No, I don’t. But I do know this. The American citizens who have been killed overseas who are terrorists, and, frankly, if anyone in the world deserved to be killed, those three did deserve to be killed. CROWLEY: Are you slightly uncomfortable with the idea that the United States president, whoever it may be, can decide that this or that U.S. citizen living abroad is a threat to national security and kill them? REID: There is a war going on. There’s no question about that. He’s the commander in chief. And there have been guidelines set. And if he follows those, I think he should be able to do it. Moreover, “those three” refer to Anwar al-Awlaki, Samir Khan, and Abdulrahman al-Awlaki (the sixteen year-old son of Anwar al-Awlaki). After the son’s death by a JSOC aircraft in October, U.S. officials fudged the details, saying that he was in his mid-twenties and of “military age.” (In response, the al-Awlaki family released his birth certificate, which shows he was born on August 26, 1995.) The State Department continues to maintain that it has “not received confirmation of his death from the government of Yemen,” although that has never stopped U.S. officials before from discussing militant deaths. Anonymous U.S. officials have stated that the younger al-Awlaki "was in the wrong place at the wrong time," and, more definitively: “The U.S. government did not know that Mr. Awlaki’s son was there.” Therefore, according to official statements, he was an unintended victim of the war on terrorism, and did not “deserve to be killed,” unless Senator Reid is withholding additional evidence. Further, can children be knowingly targeted? SENATOR CHARLES SCHUMER: "[The President’s] done an amazing job with the drones and Al Qaeda. Not just in getting rid of Bin Laden, but unlike President Bush, he said the drones could go across the border into Pakistan." The CIA’s drone war against suspected terrorist operatives and militants in Pakistan began on June 18, 2004, when a missile killed a local Taliban commander, Nek Mohammed Wazir, his two brothers, and two bodyguards. Under President Bush, an estimated forty-three drone strikes were carried out in Pakistan. According to Juan Zarate, a counterterrorism adviser in the George W. Bush administration, President Obama kept “virtually all the key personnel” in the drone program. Since he took the oath of office, President Obama has authorized 250 additional drone strikes in Pakistan, and counting.